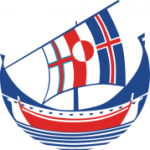 The annual trade show for tourism in the West Nordic countries, Vestnorden Travel Mart, begins today at the Inussivik sports hall, in Nuuk, Greenland. Norlandair, the Iceland-based charter airline, will be showcasing its services during the trade event. Based in Akureyri, North Iceland, Norlandair provides aviation services in the challenging environment of the Arctic. Norlandair’s services include both charter and scheduled flights on various types of aircraft. In addition, Norlandair offers complete logistical services, survey flights, medevac flights and SAR services. During the event, Norlandair will also be showcasing its Arctic Circle island tours to Grímsey, Iceland, and its all year round scheduled service from Akureyri to Nerlerit Inaa on the east coast of Greenland. For over 25 years, Vestnorden Travel Mart has been the main platform for promoting Greenland, Iceland, and the Faroe Islands as prime tourist destinations. In addition, a conference will be running alongside the trade show, which will start with the official opening of the Vestnorden Travel Mart, followed by presentations by Visit Greenland, focusing on tourism.